It can be used on any skin-types. 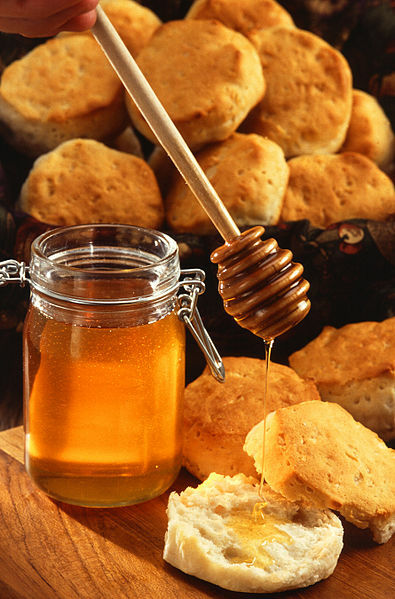 Honey is rehydrating, antiseptic and its nutriments are nourishing your skin. Thanks to its detoxifying effect, honey can help your skin to be clean and revitalize, it will look smoother, vivid and it will regain its health. Smoothe the honey on your cleaned skin, leave it up for 10mins then wash it off. After this, you should wash your skin with tonic water (use a cotton-ball) then again wash your face. Please note!! that because of the antibacterial and detoxing effect that honey causes, you might have to put up with more spots (whiteheads) as your skin will clean. If it happens, you can choose to not to repeat the honey-therapy. You can then wash your face with chamomille tea and/or use calendulae-cream on the whitehead, to boost their disappearance. Take 1tbsp of honey and a half of a banana (mashed). Add a half carrot (grated) and mix them together then smoothe the cream on your face. Leave it there for 7-10mins then wash it off. Your skin will be revitalized and rehydrated. Note: Before using any of the masks, be sure your skin isn't sensitive/allergic to honey! Always make a probe-mask for testing it first. Make the same mixture as written above for your skintype and put in on a small part on your skin (you can also do the test on your wrist's inner part). Leave it there for 20mins or wash it off if it starts itching or burning.